Good News for all Facebook for BlackBerry users, a new update for the app has been pushed the BlackBerry smartphones. The update version 3.3 has got some really nice features and one of them is the deeper integration of BlackBerry Messenger (BBM). You can now find and add friends directly from the Facebook app, it also lets you add your BBM pin to your profile. 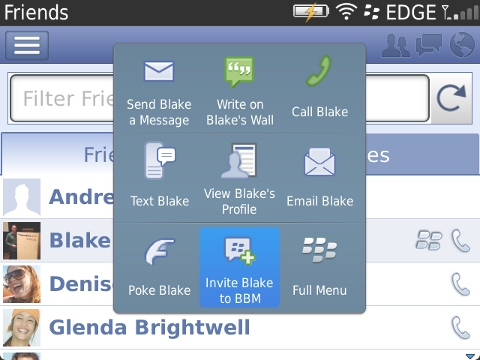 That's not all you can even initiate BBM chats with your Facebook friends from within the app. The whole experience of social network is bound to reach another level with this update. The app also introduces one of the most needed features in Facebook for BlackBery app, the ability to un-friend people directly from the app. Now you don't have to worry about some people flooding your news feed. Photo viewing experience on the previous version was not so satisfactory with each photo taking ages to load and than switching between photos was also a cumbersome task. 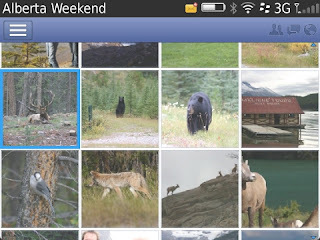 Now that has been taken care off too in this update, you can now view thumbnails of all the images, view photos faster and at higher resolution.